A year of returning to the fold and opening doors once again. And while there was a small increase in growth and the amount of work I did this year, there were also a lot of foundations being laid, readying me for the year that is to come. Returning to my Champagne & Dreams in home demonstrations was at times challenging as much as it was fun. The one thing I know about this style of delivering mediumship is that the recipients love it! The public really appreciates the intimacy and comfortableness of these events and getting your messages delivered in your living room with your friends and family doesn’t get much better than that. This medium, however really struggles with my ability to maintain balance after finding it a constant battle to not give more than is healthy for me. As I write this I receive the awareness of the struggle and am now considering where to go with these events long term. 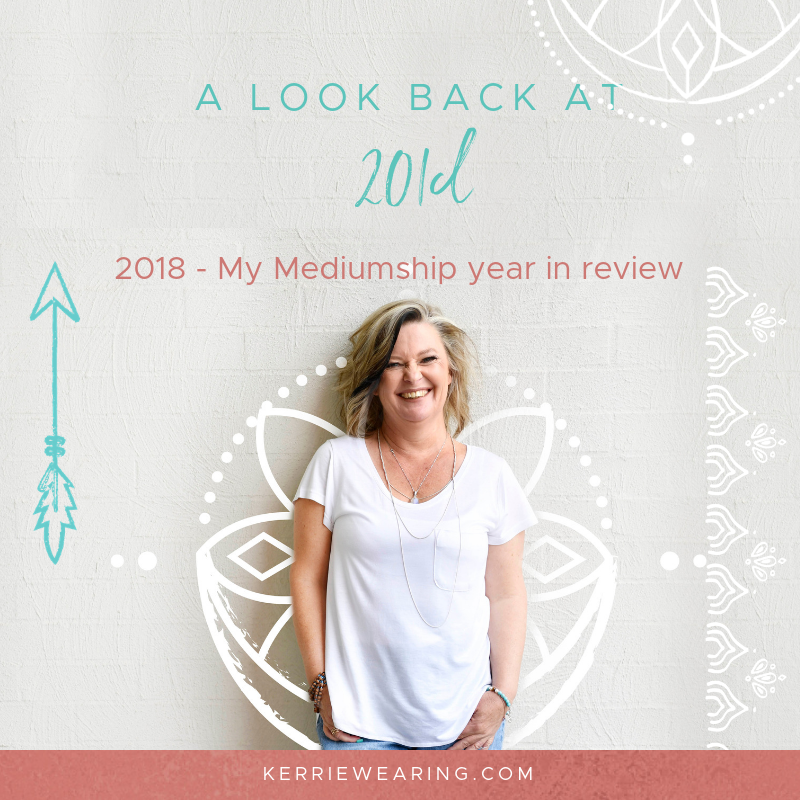 I was certainly more challenged in 2018 with the empathic side of my mediumship than I have ever been before. 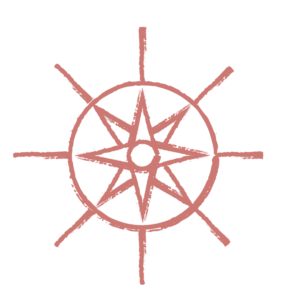 I found myself quite often being approached by the Spirit world without conscious intention on my part, which meant more emotion filtering through, and I found the emotion of the work lingered more than ever before. This resulted in a need to housekeep my energies more fastidiously. One day, Spirit even advised that if I didn’t take care of myself in this way I would develop depression because of it. Certainly, my awareness around this and my energy connections increased dramatically this year. 2018 also provided the closing chapter of not seeing my worth in my mediumship. Self-belief is a challenge most heart centered mediums face and one where healing takes place gradually over many years. 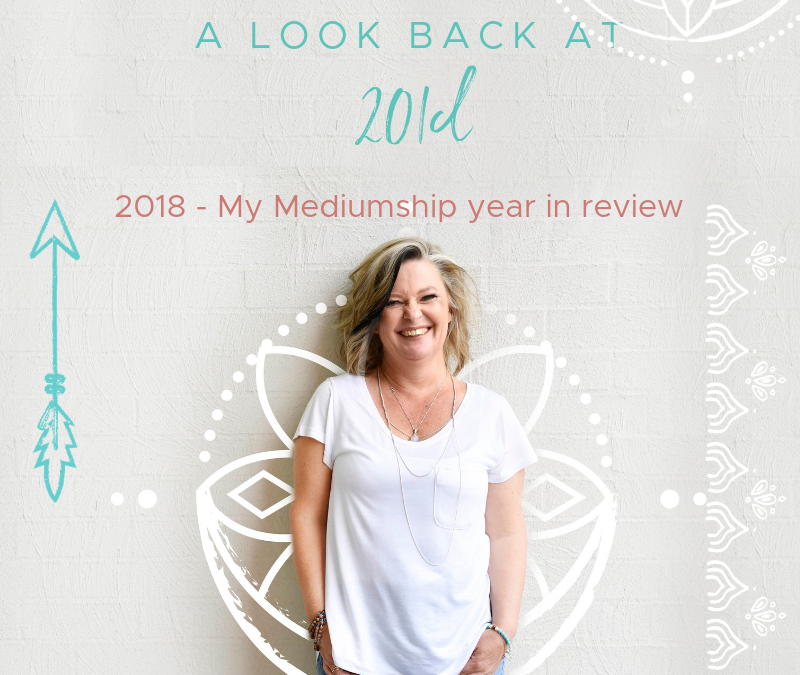 There was one reading this year, that really hit home the uniqueness of my beliefs and how I approach my mediumship, which therefore enables me to operate outside the normally expected bounds of what a medium does. Working professionally as a medium is not for everyone, just as working with certain types of energies is not for every medium. This year I found my Spirit door re-opening itself to the realm of what most mediums call the ‘lower astral’ or negative entities. For me however, this all exists in a belief of Oneness and Love so I see healing and purpose not negativity or fear. This allows me to be open to connecting with those who are not always pretty or delightful to work with. In fact, if I was any less a medium or held any weakness in my mental discipline and health they could literally do your head in. It took me a little while to realize that the serial killer who was hanging around was connected to this reading and was the only person capable of giving me the information needed for the victims friends and family to find some sense of resolution. Having received psychic information that lined up with the police theories from twelve years ago that could not be proven was the confirmation my client needed to let go and hopefully move forward. Not to mention there is also real purpose as to why Spirit has worked so hard at guiding me to let go of needing to see my career be a certain way and allow the Universe to show me more of what Spirit needs me to go. Never in a million year would I ever have expected that a form of forensic mediumship was to be a part of the plan. Yet here I sit going into 2019 knowing that Spirit is opening this door in our own unique way. 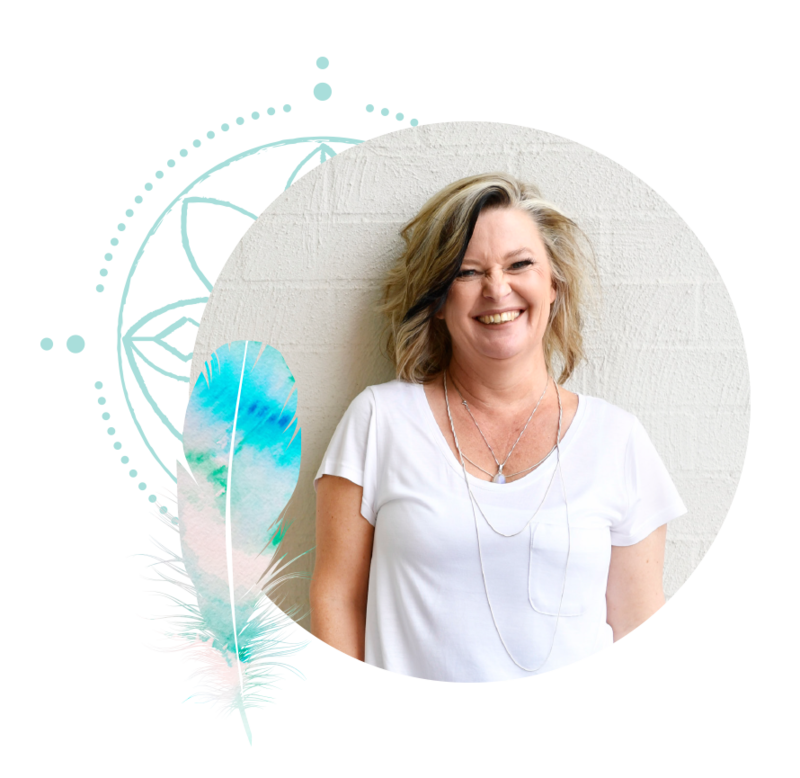 Hi, I’m Kerrie Wearing and yes I am a psychic medium soul coach but really the only difference between me and you is I’ve spent 20+ years nurturing and working with my psychic abilities. I am a big believer that Mediumship is for everyone, not just the so called ‘gifted’ and if you hang a while and get to know me, I’ll show you.